The RIT Ethics and Compliance Hotline is independently operated to maintain the anonymity of all those who report irregularities or concerns. You may submit a report via this site or by calling (866)294-9358 or (866)294-9572 TTY. This hotline can be used for either direct or anonymous reporting. Please note this hotline is not intended to replace or supersede any existing reporting methods or protocols, and is not to be used to report health, fire and safety, personnel, or academic matters. RIT is committed to ensuring that our university community is governed in an ethical and honest manner, and that we are compliant with all applicable regulations. The university and its employees have a responsibility to follow a code of ethics that not only fulfills our stewardship obligations, but also exemplifies the ethics and behavior we expect of our students. Consistent with this responsibility, we have implemented an anonymous communication system, the RIT Ethics and Compliance Hotline. This system will augment existing campus reporting options for financial, accounting and compliance related irregularities or concerns. 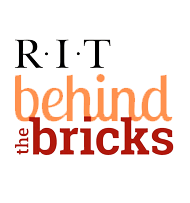 This system capability is intended to provide RIT community members with a method to anonymously report concerns related to improper conduct involving financial reporting, accounting, internal controls, protection or use of university assets, regulatory compliance, or harassment and discrimination. To ensure the protection of the identity of those who report irregularities or concerns while ensuring that the university appropriately investigates and resolves any identified issues, we have contracted with an independent third party, EthicsPoint, to operate RIT's Ethics and Compliance Hotline. EthicsPoint will provide you with simple, anonymous ways to confidentially report your concerns. You can also use existing communication protocol and resources to disclose such concerns by contacting the responsible administrative office, the management team within your department or division, or other appropriate members of university management. On behalf of the university, I want to express my appreciation for your dedicated service to the RIT community and your commitment to ethical behavior and decision-making. It is our intent that EthicsPoint hotline services will complement our existing protocols for disclosure of actions not consistent with the highest ideals for personal and professional codes of conduct expected from all university employees and students. Establishing such a system is considered a best practice adoption under current legislation.